Designing is my obsession, transforming it into reality is my passion. 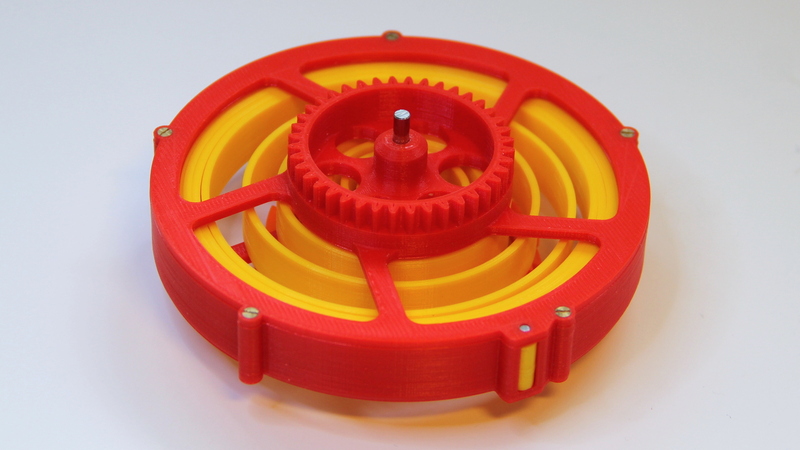 When I bought my first 3d-printer in 2013, I was creating some customized LEGO-gears for my children. 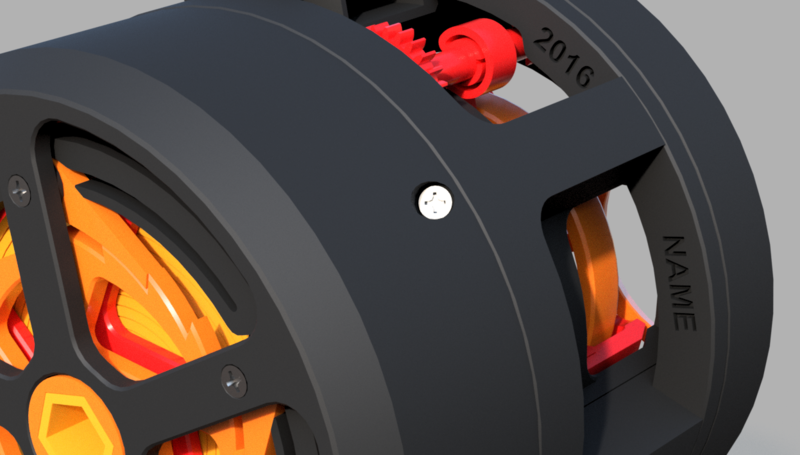 By chance these gears mutated into a movement with a Swiss lever escapement. 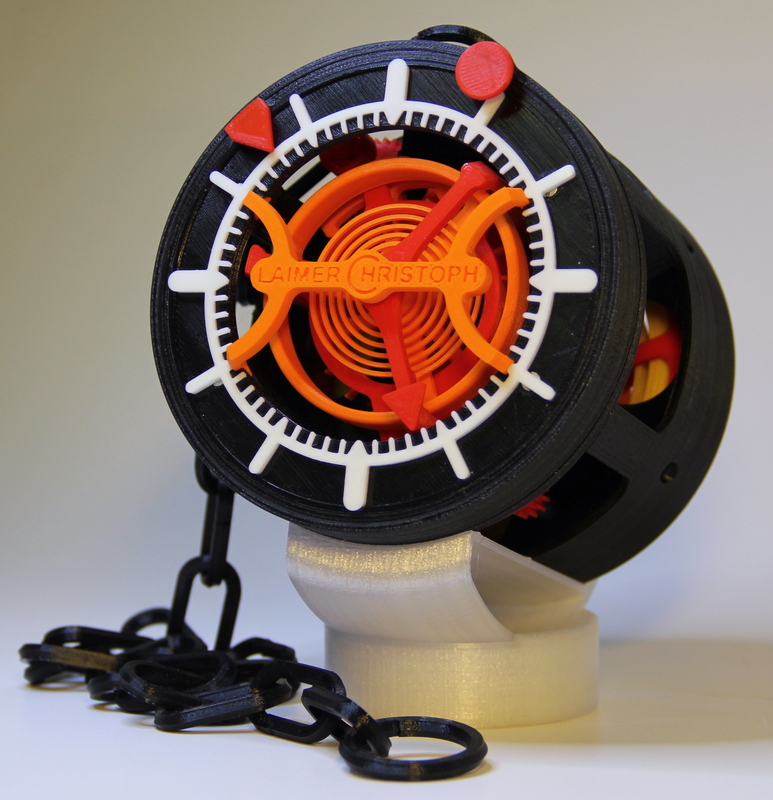 My first 3d-printed wall clock was ticking only 6 Months later. It started a fire ... How can I surpass this? It had to be a more complex timepiece - including a Tourbillon. I intended to make it smaller and in particular different than my first clock. 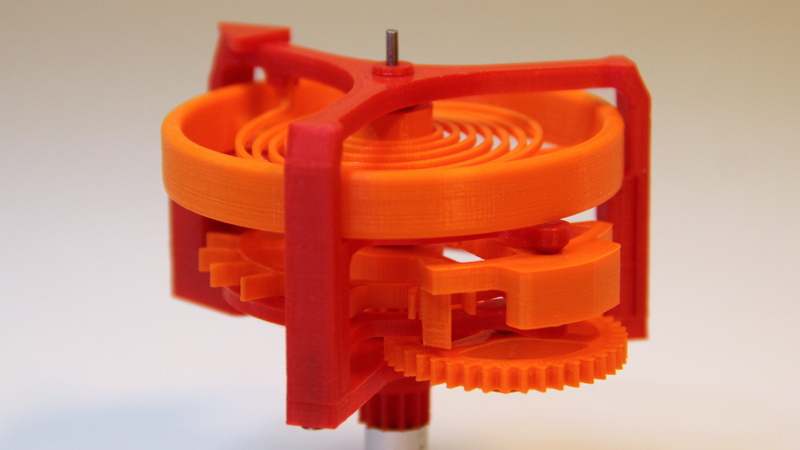 Driven by a spring instead of a weight, the watch might be even wearable. The result is a demonstration of the today's (January 2016) limitations of a common Ultimaker 2. The Laimer Tourbillon is an innovative design with the heart beating highly visible in the core. The key function to indicate the time is direct and straight. 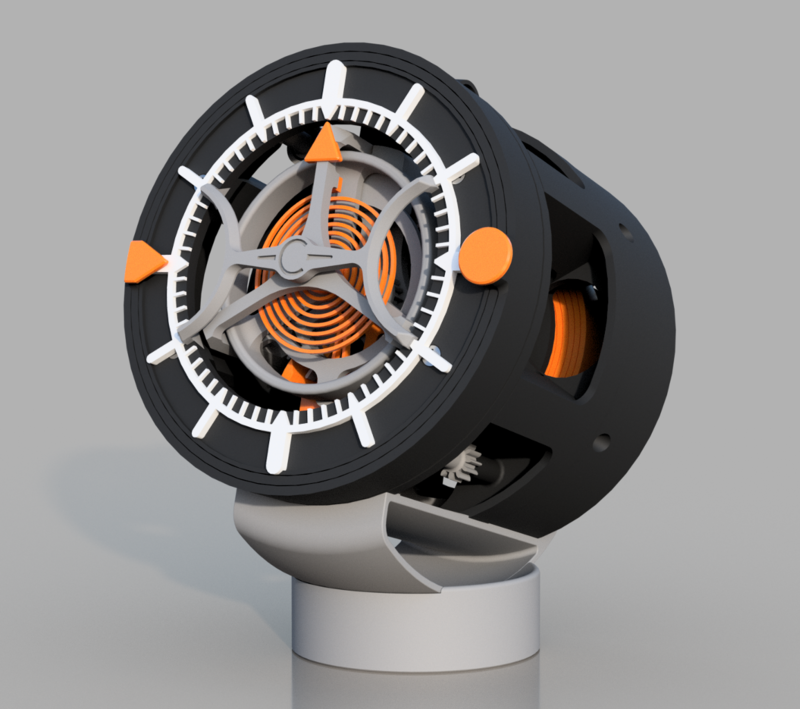 Balance, Escape Wheel, Tourbillon Cage, Hands, and Barrel are all arranged co-axial. 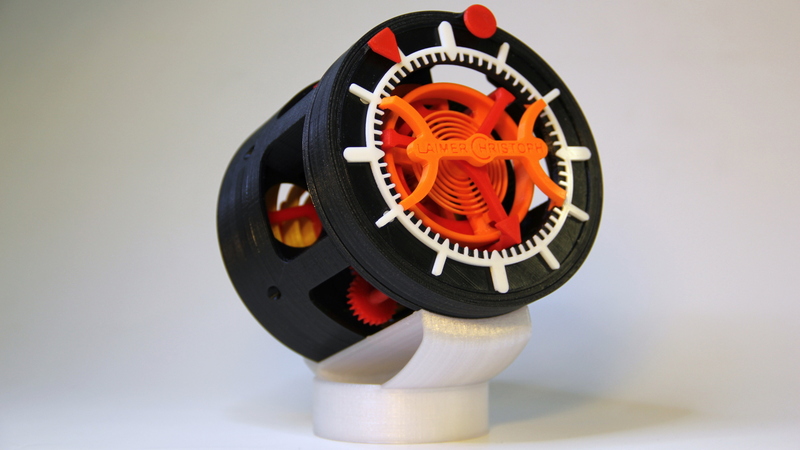 Gears for the transmission from the Barrel, and the reduction from Seconds to Minutes and Hours are placed behind the Tourbillon in order to keep the design circular. 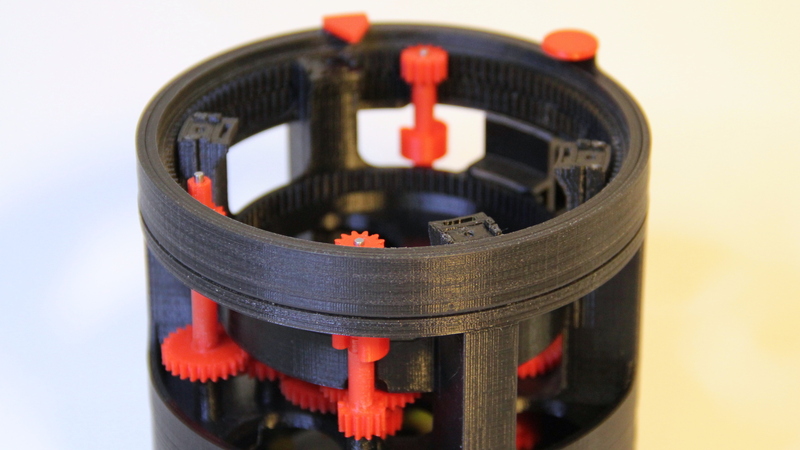 All parts are 3d-printed except a few screws and pins. 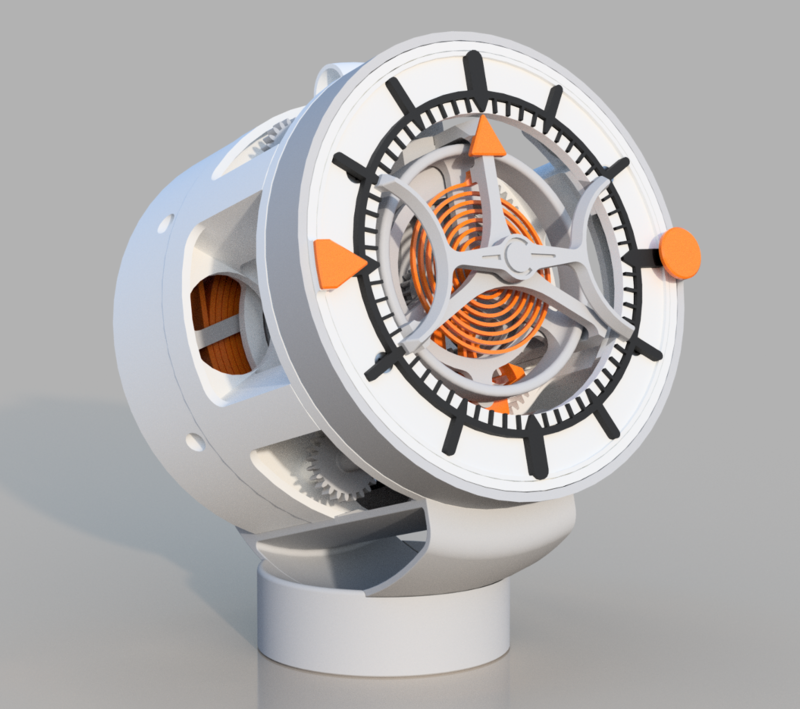 The concept also includes a 3d-printed Mainspring even though it is irrational (plastic is not elastic - it slowly flows and deforms). 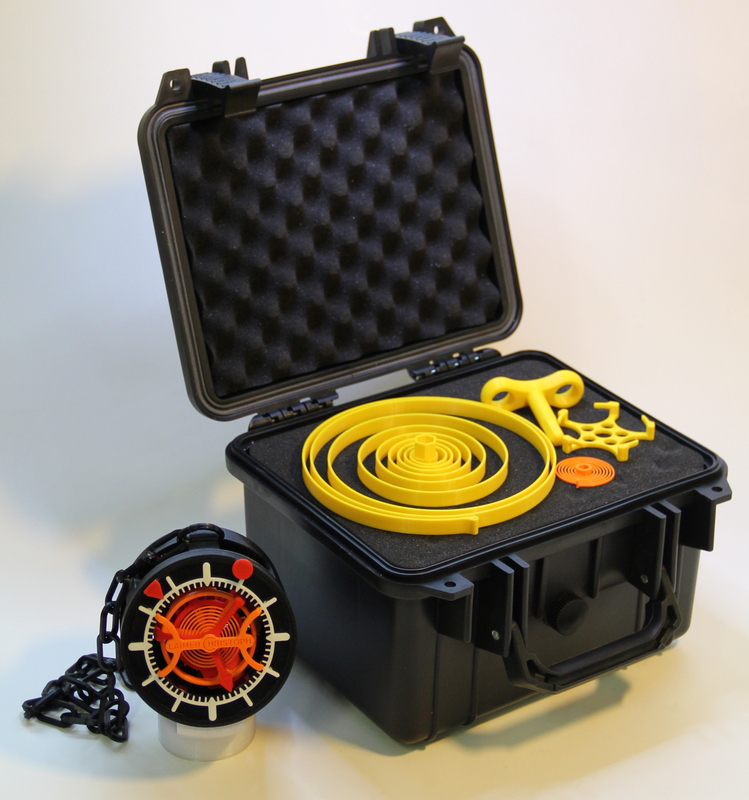 In order to make it 3d-printable, a lot of engineering effort was invested. The complete movement was essentially re-invented. The resulting timepiece works surprisingly well - of course, with it's runtime and accuracy, it can't compete with a conventional watch. 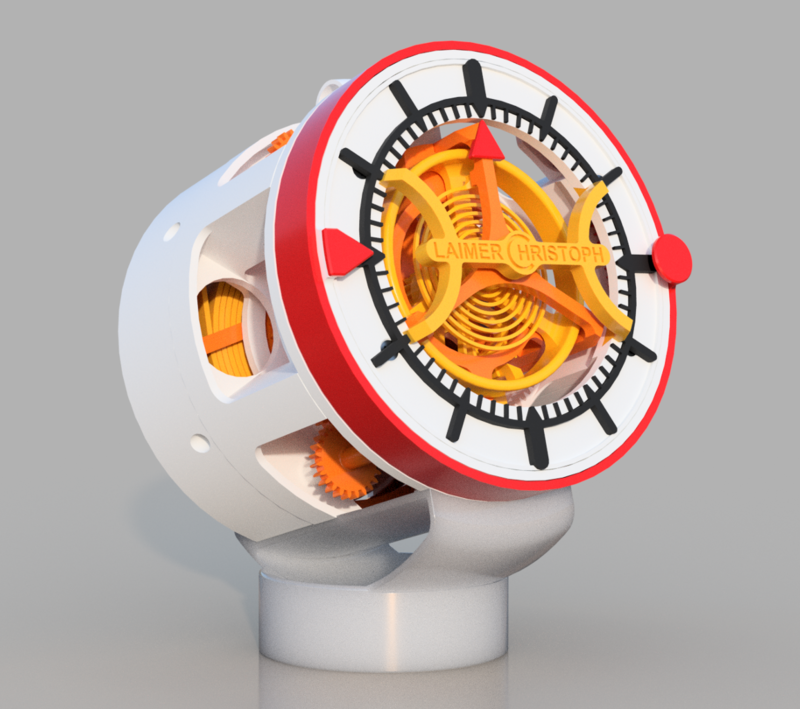 The entire 3d-model is published and downloadable on Thingiverse. Many thanks to Nicholas Manousos for his great article in HODINKEE explaining the importance of my project from a traditional watchmakers perspective. 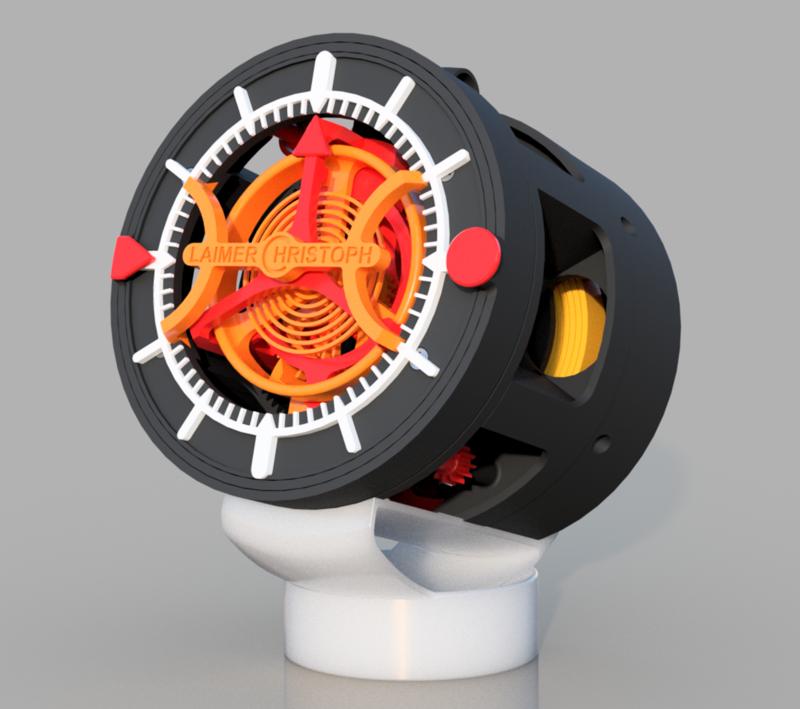 Seeing his 3d-printed Tourbillon 1000% in action was very motivating to finish my work. I was selling a very limited number of this watch. Concept, development, design, 3d-printing, assembly, and testing was done by myself in my own workshop. 100% Swiss made - offered in 4 styles (customizable on request). One Year warranty with free replacement if something breaks.